Hello! 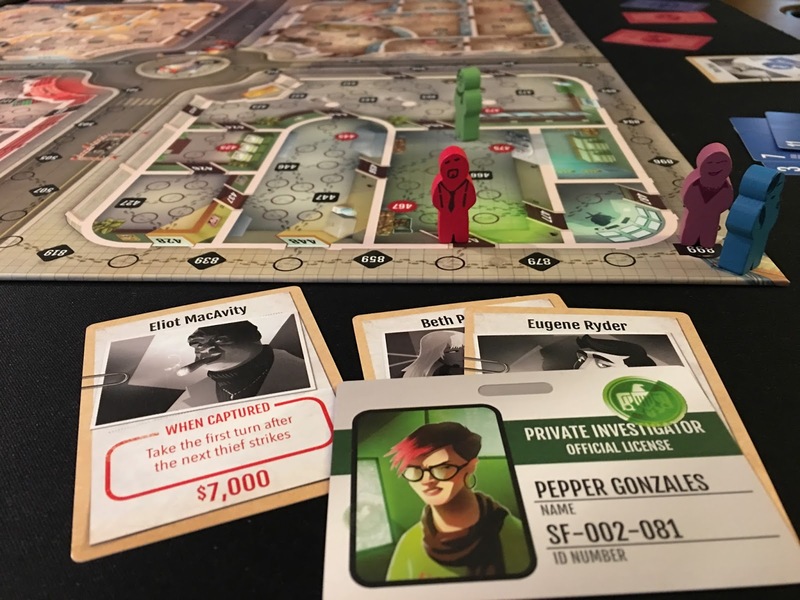 We've been recovering from our Gen Con 50 adventures and playing some new games! Our haul this year was pretty diverse, ranging from 2-payer and family games all the way to heavier euro-style games. These included Fox in the Forest and Atlas: Enchanted Lands from Renegade Game Studios, both of which have already hit the table. 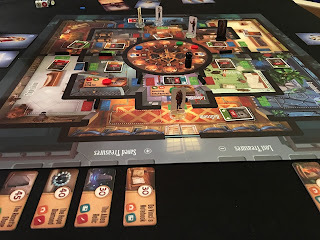 Also seeing some play time this past weekend were Gamewright's Go Nuts for Donuts and, our number one pick from the con, Professor Evil and The Citadel of Time from Funforge and Passport Game Studios. On the heavy side, Saturday night's selection was Haspelknecht from Capstone Games. 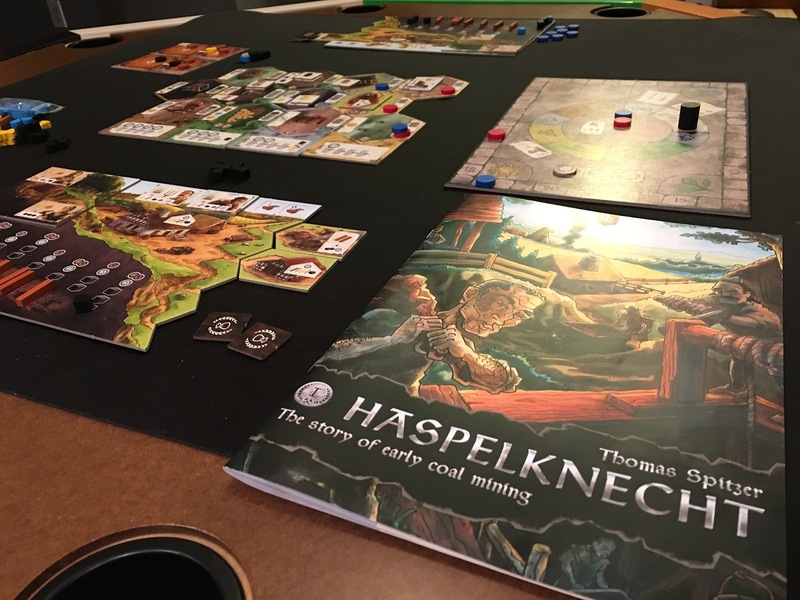 The seemingly bland theme of early coal mining is deceptive as this is a pretty fun, thinky action point / worker placement game. 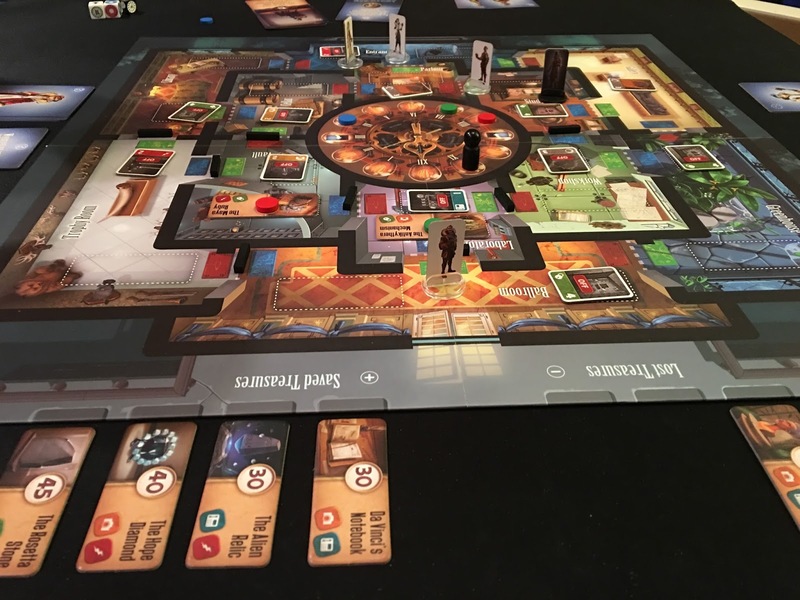 We also picked up the expansion as well as the sequel, The Ruhr: A Story of Coal Trade. It was, "a package deal". Two deck-builders in our queue to play are the latest offerings from Stone Blade Entertainment, Ascension: Valley of the Ancients, and Atlas Games' new Witches of the Revolution. We're looking forward to trying these out soon. Other acquisitions of note are Cities of Splendor, the long awaited expansion(s) for the 2014/2015 smash hit, Five Tribes: Whims of the Sultan, yet another expansion for yet another hit game, and Santorini, a fun abstract game from Roxley. The Star Trek Ascendancy expansions were finally, FINALLY released (and were purchased). These included the Cardassian and Ferengi factions and expands the game to 4 or 5 players.